You never truly appreciate what you have until it's gone. It's true of nearly everything in our lives, from relationships to cars that run well. And, in the midst of a summer that has been otherwise beautiful, Alaskans are discovering it's true of fish as well. For salmon, the story is similar across much of Southcentral Alaska: Dismal salmon returns are leading to restrictions and emergency closures on some of the most popular recreational fishing runs in the state. On the Kenai River, king salmon are catch-and-release only until at least mid-July. On the Kasilof River, there's a one-king limit, and anglers can only use a single unbaited hook. Fishing for kings isn't allowed at all on the Little Susitna River until at least mid-July. The same is true for the shoreline of Lower Cook Inlet from Ninilchik to Homer. On Kodiak Island on Thursday, the Afognak River and Buskin River drainages were closed to sportfishing for sockeye salmon for the rest of the season. The most seismic announcement of the year so far came Wednesday, when the Department of Fish and Game announced the indefinite closure of the dipnet sockeye salmon fishery on the Copper River. In typical years, the river's run is know for both the quantity of salmon available to those who make the trip to Chitina and their excellent quality — Lower 48 residents often pay $45 per pound for commercially caught Copper River sockeyes. 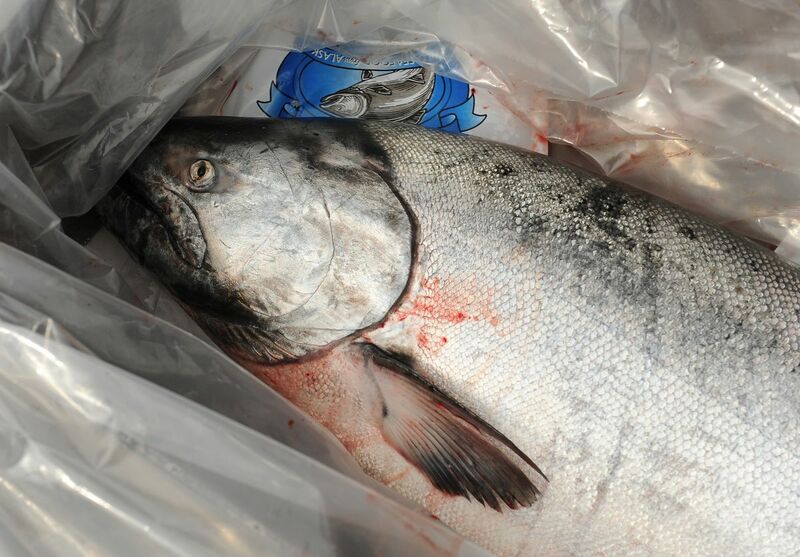 Alaskans — most of us, at least — can't afford to pay $45 per pound for salmon. That's why the Copper River closure is so devastating. For thousands of families, dipnetting at Chitina offers an opportunity to lay in a supply of top-quality fish in a few days (in the midst of a good run, sometimes as little as a few hours) that will supplement the household's food stores for the rest of the year. Families that can afford to replace that high-grade protein with store-bought fish or meat will still miss the experience and connection with the bounty Alaska provides each year. And for families of more modest means, in which paying for dozens of pounds of salmon or other meat just isn't a viable option, the loss of the dipnet opportunity will have far greater impact. Strong Alaska fisheries make strong Alaskans. Strong salmon runs make for a strong Alaska economy. There's no question that we must do what we can to understand the factors that have caused downturns in some of the fisheries Alaskans depend on most. There are several known quantities suspected to play a role, particularly the "blob" of warm water that has disrupted ocean life in the Gulf of Alaska for several years, but a better understanding of the runs and what affects them is crucial to knowing how best to protect them. And we must protect them. Salmon are only a renewable resource when their population is strong enough to replenish and rebuild the runs, so these closures — painful as they are — are evidence at least that the Department of Fish and Game is doing what it can to prevent over-harvesting that would drop the runs below levels where they can recover. Alaska's salmon have helped provide for its residents for thousands of years. With responsible management, they can do the same for many generations to come. That may not be much comfort when you go out to the garage and see your dusty net and empty chest freezer, but if your grandchildren get to fish in the same rivers you did, it's a small price to pay. The views expressed here are those of the Anchorage Daily News, as expressed by its editorial board which welcomes a broad range of viewpoints. Current editorial board members are Ryan Binkley, Andy Pennington, David Hulen, Tom Hewitt and Andrew Jensen. To submit a piece for consideration, email commentary@adn.com. Send submissions shorter than 200 words to letters@adn.com or click here to submit via any web browser.